Screening of Awake: A Dream from Standing Rock will be followed by discussion with directors. A local issue will feature prominently on the silver screen at this weekend’s Environmental Film Festival, presented by the Martha’s Vineyard Film Society and the Vineyard Conservation Society. The festival will screen A Plastic Ocean, a documentary that reveals the widespread negative effects of disposable plastics on marine life—a timely feature following the recent Island-wide adoption of the plastic bag ban. Richard Paradise, founder and executive director of the Martha’s Vineyard Film Society, said the Island is an ideal place for this event because of Vineyarders’ interest in environmental issues. 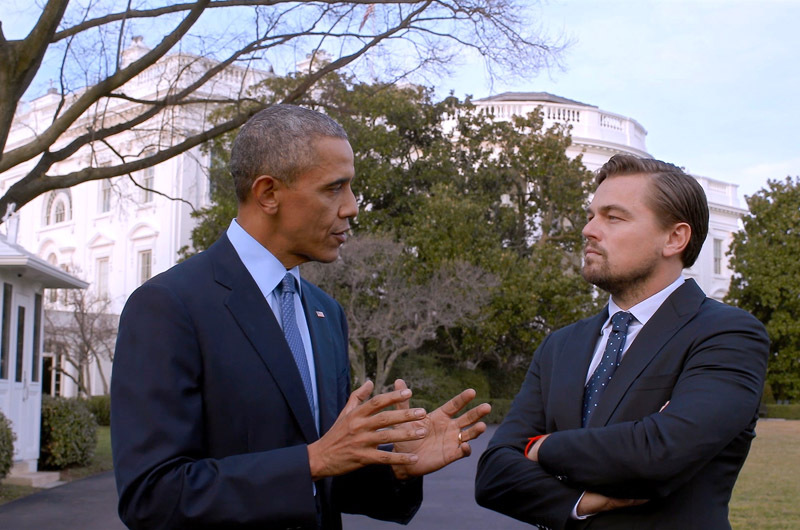 Before the Flood features Leonardo DiCaprio on a journey as U.N. messenger of peace. “The Vineyard is a wonderful microcosm of what’s going on around the world, in that there’s a great interest in environmental issues,” he said. While issues that hit close to home are highlighted in some of the weekend’s films, they’re not the sole focus. The programming for the festival will show, “What’s going on not just locally, but regionally, nationally, and internationally,” Mr. Paradise said. In its inaugural year, the festival had a specific focus, the films of Jacques Perrin. It took on a wider scope last year, and this year it will highlight a range of topics from big-game hunting to sustainable agriculture to the work of American conservationists. The festival runs from May 25 through May 28 at the Martha’s Vineyard Film Center in Vineyard Haven. 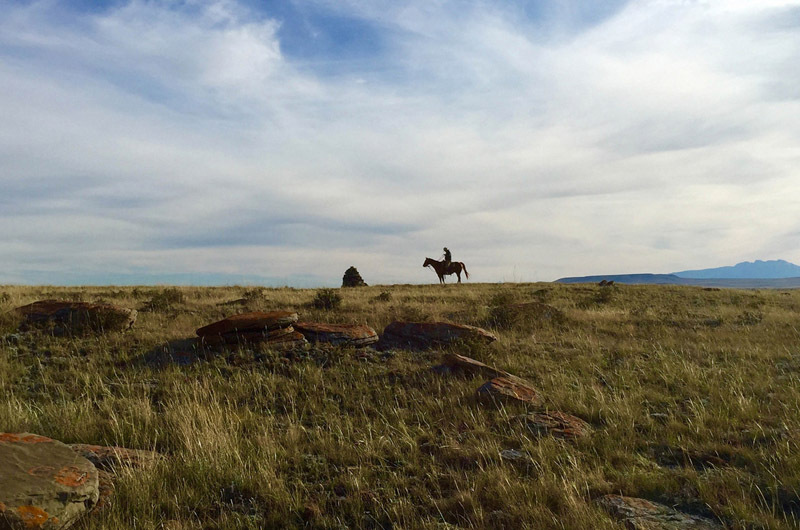 Rancher, Farmer, Fisherman screens at 7:30 p.m. on Friday. Mr. Paradise said attendees can look forward to a “film plus” experience, that is, film plus additional activities meant to enrich the moviegoer’s experience. Programming includes lectures featuring experts from on and off-Island, receptions, live music and activities for children. A free screening of the Lorax will feature a companion activity led by the Vineyard Conservation Society for children to decorate their own reusable shopping bags. “When we passed out the bags last week, people were so enthusiastic, it was really nice,” Ms. Look said. Reefs at Risk looks at consequences of global disposable lifestyle. Mr. Paradise confirmed that will indeed be the case. “Several [films] provide some really good solutions and things that people can do as individuals,” he said. Also on view at the Film Center this weekend is the MVRHS and Charter School Student Art Show, sponsored by the Vineyard Conservation Society. The theme of this year’s competition was discovery. Students focused on looking more carefully at a particular place or aspect of life on the Vineyard. There will be a reception and awards ceremony on Saturday at 3 p.m. and the exhibition will remain in the lobby of the film center for two weeks. A full schedule of events is available online at mvfilmsociety.com. Before the Flood, featuring Leonardo DiCaprio on a journey as a United Nations Messenger of Peace. 4 p.m.
Rancher, Farmer, Fisherman, an entirely unexpected movement being born, 7:30 p.m.
MVRHS Student Art Show Reception and Awards, 3 p.m.
Reefs at Risk and A Plastic Ocean, documentaries about the consequences of the global disposable lifestyle, 4 p.m.
Trophy, a look into the industries of big-game hunting, breeding and wildlife conservation, 7:30 p.m. The Lorax, special childrens event. Come 30 minutes before the film to decorate a reusable canvas bag. 1 p.m. Awake - A Dream From Standing Rock, the story of Native-led defiance in fight for clean water. 4 p.m. Tomorrow, documentary focusing on solutions, 7:30 p.m.
For your interest -- the Children's event on Sunday May 28 is entirely Free of charge for children and parents with support from the NEWMAN'S OWN Foundation.